Wimbledon Village Stables offers horse riding in London over the wonderful 'countryside' of Wimbledon Common and Richmond Park. Riding instruction available for all standards of riders. Quality, well schooled horses. British Horse Society Approved. 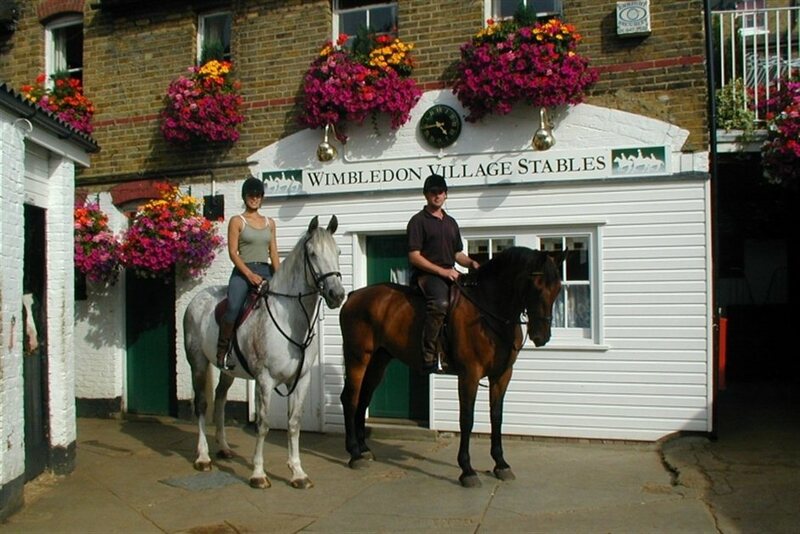 Wimbledon Village Stables gyms, sporting activities, health & beauty and fitness. What are the best dining options near Wimbledon Village Stables London? The best pubs near London Wimbledon Village Stables. Wimbledon Village Stables clubs, bars, cabaret nights, casinos and interesting nightlife. Where to have your meeting, conference, exhibition, private dining or training course near Wimbledon Village Stables. From cheap budget hotels to luxury 5 star hotels see our discounts for Wimbledon Village Stables hotels, including The Nadler Victoria Hotel from 71% off.